In April 2015, at a launch site surrounded by the desolation and scrub brush of West Texas, a stubby, somewhat suggestively shaped rocket lifted off from a small launch facility. There were no big crowds of observers, no phalanx of cheering staffers, no fleet of media satellite trucks to witness the event. The rocket powered its way to just over 57 miles above the Earth’s surface, where a windowed, gumdrop-shaped capsule separated cleanly from the booster section, skirted the edge of space, and began to drift back down to the ground. 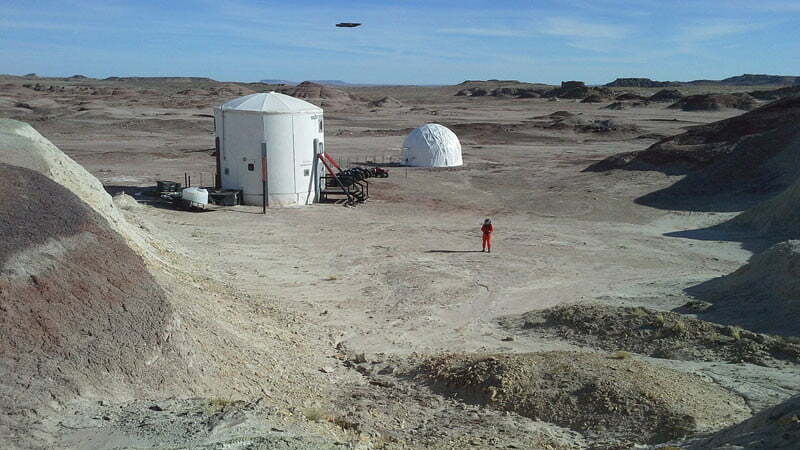 Minutes later, parachutes deployed, and the unmanned capsule landed with not much more than a dusty fanfare in the scrub brush and cacti near the launch site. It all looked like no big deal. But it was a very, very big deal. The rocket is called the New Shepherd, and the company that built and launched it is Blue Origin, operated by billionaire Jeff Bezos, the founder of Amazon.com, and currently one of the 10 richest people on Earth. If space is the place, it’s gotten awfully crowded in the last 10 years. In 2010, President Barack Obama announced the end of the space shuttle program and killed the Constellation program, the system meant to succeed the shuttle, which felt like a slap in the face to anyone who’s looked to the skies and stars with wonder. But the program’s end freed up vital dollars and enabled a remarkable transition, from NASA as sole space innovator to NASA as curator, incubator, Daddy Warbucks even, for a battery of upstart companies and billionaires with the bankroll to build rockets — and planets haunting their dreams. We’ve become spoiled when it comes to space exploration. Scientists, engineers, and astronauts have gotten so good at space travel, it’s like science fiction come true as probes spread through the solar system and astronauts aboard the International Space Station (ISS) cavort in polo shirts and khakis while circling the planet for a year or better. And those are just a smattering of the highlights. Even as you read this, NASA’s huge robotic Juno probe is orbiting Jupiter, the solar system’s largest planet, after a five-year flight. Juno is using cutting-edge technologies to look beneath the gas giant’s many layers of clouds to suss out what exactly it’s made of, and why it generates such lethal levels of radiation (which the spacecraft is designed to withstand — for a while at least). For almost seven decades, the dedicated teams at NASA, (as well as those in Russia, China, Japan, Europe, and more), have both fired our imaginations and led to now-everyday technologies so fantastic as to be almost magical: powerful computers, the internet, LEDs, GPS, virtual reality systems, cell phones, Google Maps, artificial hearts, memory foam mattresses, fuel cells, drones, cordless everything, Velcro. It’s a long, long list. But today, space exploration is undergoing a radical shift, the first major change since the Space Age began in the late 1950s, thanks to all of those new businesses focused on doing what NASA had been solely responsible for. Is that a good thing? And what of NASA’s SLS – the Space Launch System, which aimed to salvage some parts of the canceled Constellation program and keep striving for deep space? “For NASA to build the SLS is a huge mistake. All that money being wasted down that course is ridiculous.” Like many NASA watchers, Grush thinks the space agency should focus on what the private companies are still learning about: landers, manned spaceflight systems, space probes. And he thinks NASA should continue working with the private firms on a cooperative rather than a competitive basis. “It’s gonna be a partnership,” Grush added. But we will get there. As we close in on half a century since Neil Armstrong stepped onto the surface of the Moon, the time has finally arrived again for the next giant leap, this time to our shining red neighbor, Mars, and to really, finally, absolutely put people on the rusty, dusty surface of Barsoom. Is the agency that so deftly and single-mindedly put Americans on the moon truly up to the task of repeating its success with a trip to Mars? Or will NASA get beat by rising international competitors, stalled by the vagaries of partisan politics, stifled by budgetary concerns, or plain outrun by the new private space exploration startups hot to put their footprint on the Red Planet first? Tesla CEO Elon Musk is a driven man. Bad puns aside, this young engineering genius makes it feel like it’s a special time in American industry as his Tesla car company cranks out thousands of electric futuremobiles, the best of which can humiliate all but the fastest gas-powered supercars for a fraction of the cost and without a drop of fossil fuel. Musk is also chairman of solar panel supplier SolarCity, which Tesla has now set about absorbing. He’s worth an estimated $12 billion. But self-driving electric cars and solar panels seem mere playthings in his grand design, which includes a massive human settlement of the planet Mars. Musk, fresh off a cash infusion from his sale of PayPal to eBay for $1.5 billion, headed to Russia in 2002 with hopes of buying some leftover Cold War ICBMs (intercontinental ballistic missiles) — sans the nuclear warheads — to start a civilian satellite launch company. The price proved too steep, however, so Musk calculated how much it would cost to build his own orbit-capable launch system and set to work. Those efforts were the foundation of Space Exploration Technologies, which we know today as SpaceX. Despite several early rocket failures, Musk’s Falcon 1 rocket successfully put a satellite into orbit in 2008. Musk also inked a $1.6 billion contract with NASA to get the Falcon series of vehicles up to the ISS on a regular schedule just as NASA was winding down the aging space shuttle program, which left launches to the ISS in the costly arms of frenemy Russia’s capabilities. SpaceX and its recyclable rockets could cut the cost to orbit by as much as 90 percent. In May 2012, SpaceX successfully docked an unmanned Dragon resupply vehicle at the ISS, marking a significant first for the civilian program. 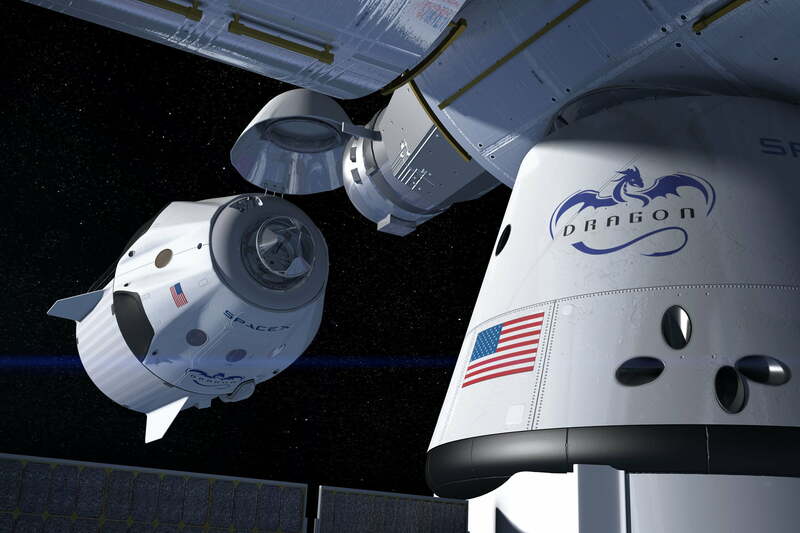 Development of the manned Dragon crew module for getting astronauts to and from the space station continues, with a manned launch planned for 2018. While SpaceX may sound like a NASA-funded clone, it is far from it. In late 2015, Musk and his team (which appears to be mostly made up of excitable 20- and 30-somethings) notched another key goal when they landed the primary stage of the Falcon 9 booster back on Earth post-launch using retractable landing gear, a gimbaled motor, and sophisticated guidance systems – something no national space agency, NASA included, had ever done before. Since then, they have repeated the feat six times — but they weren’t the first to do it. That honor goes to yet another billionaire’s private spaceflight program. Why land a rocket? Simple: it saves money – and lots of it. While NASA had a nation’s coffers at its disposal during the Apollo era, a business venture like SpaceX has no such financial cushion. Landing a rocket and reusing it cuts the cost of reaching orbit by an estimated 50 percent, since you can re-use the very expensive engines and booster structures. In time, Musk says SpaceX and its recyclable rockets could cut the cost to orbit by as much as 90 percent. That’s important for everyone involved when the current bill to put something into orbit costs $10,000 on average — per pound. Musk, along with fellow billionaires Jeff Bezos and Paul Allen, is a child of the Star Trek/Star Wars/sci-fi era, and the gleam in Elon’s eye isn’t due to the success of his SpaceX rockets or Tesla electric cars. No, Musk’s ambitions are far, far greater: As we saw in his detailed remarks in September 2016 at the IAC, he wants to use vastly scaled-up rocket and transport ships to send humans to Mars, and not just “someday.” Indeed, SpaceX is planning to land a small unmanned test craft on Mars in 2018, and Musk says said his timetable for his massive manned Mars missions is short, as in the mid-2020s — far earlier than NASA’s current maybe-in-the-2030s-or-2040s schedule. In April of 2015, when Blue Origin launched its phallic craft on that first voyage, Bezos himself was present in the control room, as he is during most major tests of his secretive space program’s systems. And while Virgin Galactic, SpaceX, and NASA may get all the limelight, it was actually Bezos and his team that were the first to successfully land a rocket after launch. He’s ahead of SpaceX in another key area as well: reusability. While Musk continues to collect used Falcon 9 rocket cores for later use, Blue Origin has reused one of its New Shepherd boosters four times now. 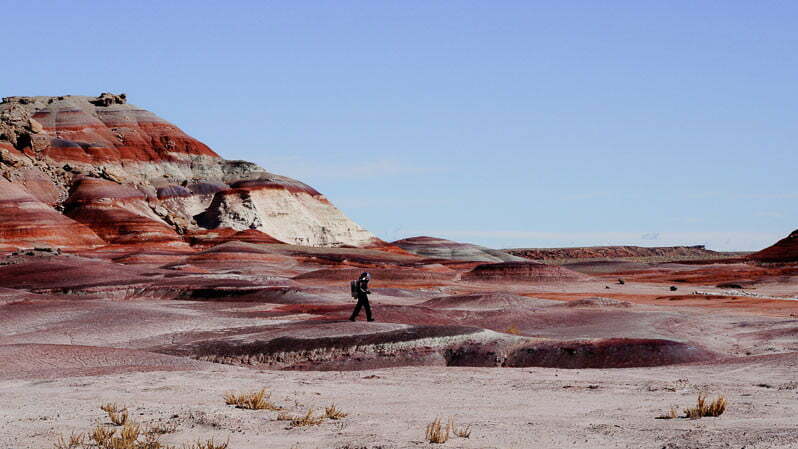 A taste of space that doesn’t require anything besides lots of money and a sense of adventure. At present, Blue Origin is prepping the New Shepherd rocket and capsule combination to accomplish goals similar to those of billionaire Richard Branson’s stalled Virgin Galactic space tourism effort: to give people (six at a time) a taste of space with a parabolic, non-orbital, short zero-G flight that doesn’t require space suits, months of rigorous training or virtually anything else besides money – likely lots of money – and a sense of adventure. But Bezos’ true ambitions lie high above the Karman Line, and he has plans to orbit and perhaps head away from the Earth. Blue Origin has recently completed a large rocket-testing facility that can reportedly handle a million pounds of thrust, and just ahead of Elon Musk’s Mars mission announcement, Bezos detailed a new series of rockets – the New Glenn being the first in a series – that will have much more lifting capacity and orbital capability. A group of new rocket motors, the BE-4, each capable of 550,000 pounds of thrust, will power the New Glenn booster and continues to move forward in development. Comparatively, the current BE-3 engine in the New Shepherd craft produces only 110,000 pounds of thrust. Interestingly, another privateer, ULA, will also use the BE-4 rocket motor in its systems once testing is completed, according to Blue Origin. That’s a rather curious pairing, seeing how ULA, the launch vehicle partnership between Lockheed-Martin and Boeing, is actively launching satellites now (they sent the NASA Juno probe on its way to Jupiter) and has been for years using their Delta IV booster system. Clearly, Bezos is looking far beyond fun rides to the edge of Earth’s airspace for the moneyed 1 percent. The BE-4 engine is expected to be flight ready in 2017. NASA has spurred much of the development of private spaceflight efforts through the Commercial Crew Program (CCP), an acronym-heavy outreach program that has boosted vehicle development programs at SpaceX, Boeing, Orbital ATK, and Sierra Nevada Corporation to the tune of more than $8 billion. Basically, the CCP program, also known as CCiCap, works with firms looking to get into private spaceflight by giving them guidance on the project parts that NASA needs built (capsules, rockets, spaceplanes, etc. ), and then closely oversees design, production, and testing of the final product. While the efforts at SpaceX are more well-known, the Dream Chaser space plane program at Sierra Nevada Corp. is especially noteworthy. The sleek machine is reminiscent of the NASA shuttles but is much smaller and features highly canted wings. The vehicle’s design is based on the legacy of lifting body aircraft, and it can carry a crew of seven astronauts or various cargos. Flight control can be handled autonomously, remotely, or by a pilot. It is launched into space by ULA atop an Atlas 5 rocket and has rocket propulsion of its own from two engines for the final boost to the ISS. Meanwhile, NASA is moving ahead with plans (and spacecraft) of its own. Following a recent successful test of a booster designed for the aforementioned Space Launch System, or SLS, the agency plans a trial run for the Orion capsule, NASA newest crewed spacecraft. That initial unmanned 2018 flight, called Exploration Mission-1, or EM-1, will be a test of how the SLS and Orion system perform in flight, and is part of the ramping up of the SLS/Orion pairing for a future Mars mission. If the test flight is successful, NASA may use the system to take astronauts out of earth orbit and to a nearby asteroid, perhaps using a novel asteroid-catching ensemble fitted to the Orion crew capsule. Crewmembers will either capture a sizeable space rock or pluck part of one off the surface of a larger solar traveler. The asteroid roundup mission is still in the planning stages, but another mission named OSIRIS-REx lifted off on September 8 and will try to accomplish essentially the same goal, but with a specific target: a large asteroid known as Bennu. From spacecraft to the moon and asteroids, NASA clearly has big dreams of its own. But there’s no dream bigger in anyone’s mind than Mars. Perhaps no other mission is generating quite as much excitement as what’s currently known as the Mars 2020 mission, a planned deployment of a new Mars rover coupled with a daring follow-up robotic mission designed to return a sample of Mars’ soil to Earth for detailed analysis in 2023. Jim Watzin, head of NASA’s Mars Exploration Program (MEP), which oversees the rovers and other unmanned aspects of missions to the Red Planet, thinks that the Mars 2020 experiments, if successful, could be a big step forward in preparing for an eventual manned mission. The mission would also mark a significant first: a “full round-trip journey” to the surface of Mars and back for a spacecraft system, Watzin said. Devices needed for the soil return mission will include the rover that drills out the sample and a second, later rover to round them up and execute a rocket launch from Mars, as well as an additional Earth-return orbital vehicle. They will all have to work autonomously at some level, with minimal human intervention, while playing catch the tiny capsule in orbit at speeds that make bullets look slug slow. Watzin said the first as-yet-unnamed rover involved in the soil return mission will be very similar in design to the highly successful Curiosity rover currently on Mars, and should arrive there in the same way: with a technically complex airdrop from a hovering skycrane. Like Curiosity, the new rover will be “about the size of a Mini Cooper,” Watzin said. The designs of the second rover, the return-to-Mars orbit system, and the Earth-return vehicle are still under consideration, and could involve space exploration agencies outside of NASA, according to Watzin. 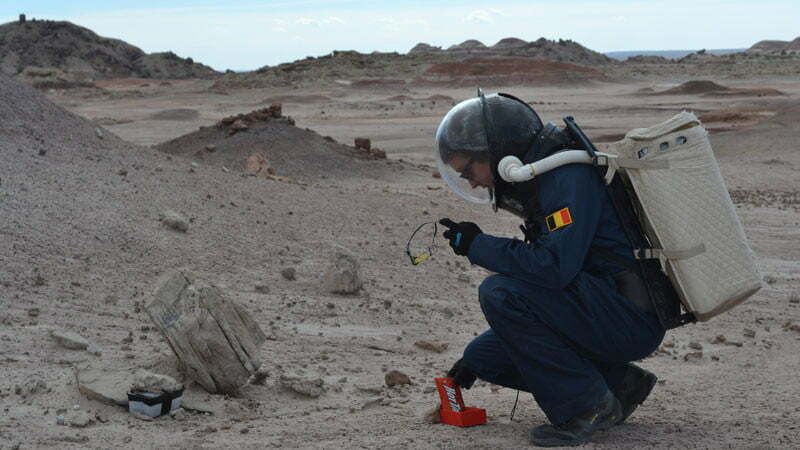 If things go as planned, once the sample capsule is recovered in 2023, bunny-suited scientists in clean rooms will pick apart the most valuable rocks ever to land on Earth, likely down to the atomic level, in order to discover more details about Mars’ geological history and potential to support life, past and present. Watzin is rooting for a manned mission to Mars along with more robotic exploration, but he is also clear on the challenge of landing humans on Mars. “I think what you see in some of these various [Mars landing] plans is that folks are starting to recognize the magnitude of what it takes to safely put humans on Mars and sustain them over that period of time,” Watzin said. The hottest topic in space exploration today is Mars. Finally, nearly 50 years after the Apollo mission sent manned spacecraft beyond a low Earth orbit, there appears to be serious momentum from serious players about mounting missions to Mars. Even China has announced that it will try to put a lander on Mars when the planet swings back around to close approach in 2020. Why has Mars fever struck now? There seems to have been a sudden intersection of factors, including the maturation of technologies needed for the mission, a sort of “OK, it’s time” consensus among numerous space exploration programs, increasing interest from the public (movies help), and actual compelling reasons: preservation of the human species through interplanetary settlement, the quest for knowledge, and that unrelenting human itch to mount epic journeys of exploration and adventure. Musk is known for his ability to follow through on his plans, even if that involves delays. If his Mars plan does pan out in the next decade (or close to it), where does that leave NASA’s multiphase Mars plans that stretch into the 2040s or beyond? All well and good, but it’s here where things get… complicated. And possibly, even more complicated now that Musk has revealed his grand SpaceX Mars mission plans, which include large-scale manned missions to Mars within the next decade – and well beyond. “I think it’s going to sound pretty crazy,” Musk said about his Mars plans in an interview with The Observer ahead of the reveal in Mexico last month. “So it should at least be entertaining.” Indeed it was, with design plans calling for massive (and, of course, reusable) rockets the size of which the world has never seen before and large-scale “human transport” spacecraft capable of taking 100 or more people at a time to the Red Planet. While the plan sounds like a science fiction fever dream, it’s important to note that Musk’s SpaceX team is already building components for the transport system and he plans to divert more SpaceX resources to the mission over time. Some backstory: The original NASA/American Mars mission plan in the 1960s and early 1970s involved wrapping up the Apollo lunar missions and then taking the next bold (and logical) step to plant the flag on the Red Planet at just about the same time Duran Duran was peaking in the mid-1980s. Instead, President Richard M. Nixon nixed the lunar missions in 1973 when, amazingly, they were becoming as normal as travel by jet plane — still novel, but also a bit routine. Mars was still on the NASA agenda, but getting there is a whole different can of problems compared to the relatively short hop to the moon. NASA put its Mars plans on the back burner to research the myriad issues associated with such an effort, and in the meantime put together the Space Shuttle program, which targeted the same goal as Elon Musk and his re-usable SpaceX rockets: to drastically cut the cost of space travel, and more specifically, lower the cost of just getting stuff into orbit. But at a billion dollars or so per launch, the shuttle program could hardly be classified as thrifty. In the late 1980s, NASA turned its gaze to Mars once again, and with great fanfare, the President George H.W. Bush announced the Space Exploration Initiative (SEI), which included a grand plan for moon bases, space stations and big spaceships going to Mars. Small asterisk: the price tag was close to half a trillion dollars. Congress let SEI die a quiet death and Mars again faded into the background. Of late, NASA says a Mars landing could and should definitely take place, but in the hazy future of the 2030s or even the 2040s. The latest NASA Mars plan is wrapped in a “Journey to Mars” package, and just weeks ago, Digital Trends writer Rick Stella attended a Mars-focused NASA show-and-tell about the SLS and Orion systems, as NASA attempted to further clarify its Mars exploration plans. The nut: In about 20 years, NASA plans to send a manned mission to orbit Mars but not land on it, as a sort of a recon mission, similar to the approach of the early pre-Apollo 11 missions, which went to the moon and orbited, but never landed. If all goes well, the first manned landing should take place sometime in the late 2030s. Can Musk get there first? Clearly, Elon Musk thinks the 2030s and ’40s are just too far away. Before Musk revealed his Mars master plan, it had been rumored that his plan might be based, at least in part, on a low-cost, technically feasible, long-term settlement idea detailed by Mars Society founder Dr. Robert Zubrin, a Musk ally, noted space systems engineer and popular vocal advocate of landing on and settling Mars. Known as Mars Direct, Zubrin’s plan, first detailed back in 1990, was lauded by fellow engineers and many within NASA, and was considered for implementation by NASA not once but twice — only to be shelved in favor of, at least according to Zubrin, a much broader and hugely more expensive plan that caters to NASA contractors’ many (expensive) projects. And, he remains critical of NASA’s Mars plans, both past and present. Zubrin is not a NASA hater, he says he has admiration for the agency and what it accomplished in the past, especially during the Apollo era, but laments that current plans, according to him, lack any sort of deadline, a strongly focused plan, or firm direction. In our interview, Zubrin was clear that he and Musk are familiar. Their relationship goes back to 2001 when Musk attended a Mars Society fundraiser and gave Zubrin’s organization $5,000. 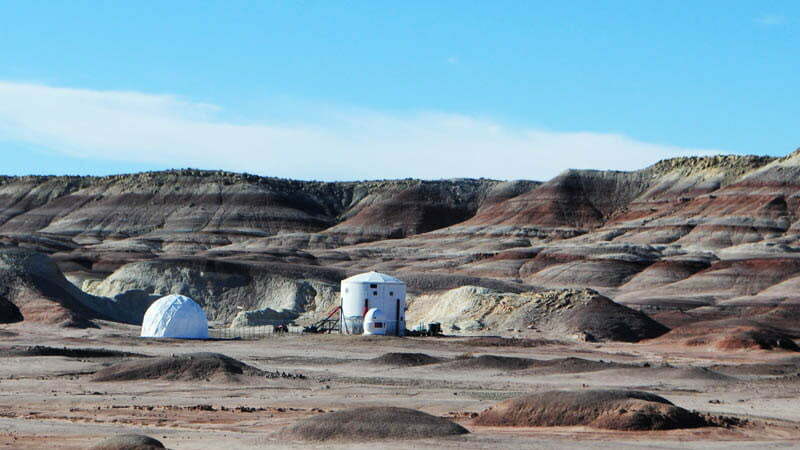 Since then, Musk has helped fund Mars Society’s earthbound Mars habitat simulator outposts, funded an observatory, and sat on the Mars Society board of directors. However, Musk’s plan to produce spacecraft that can make fuel on Mars is a central tenet of Mars Direct, and his 2018 test mission, if successful, may include a test of that technology. Stan Love has done it. Raised in the bucolic wilds of Oregon, Love ate his Wheaties, studied hard, followed his dream and went to space. He became what so many young boys and girls dream of, only to defer their dreams and move on to something more… practical and attainable, such as a writer/photographer. In 2008, Love took a seat aboard the shuttle Atlantis for mission STS-122 and went on to look down upon the Earth during one of the most daring and vulnerable of astronaut activities: a spacewalk. Two of them, actually. Love helped build out the International Space Station, then returned to Earth to remain at NASA. Now he’s helping bulk up the astronaut corps for SLS, and he’s a big booster of NASA’s latest plan to get to Mars. What he’s not is a fan of is Zubrin’s Mars Direct. Watzin, NASA’s rover team leader, who has attended and spoken at Mars Society functions, was a bit more diplomatic when it came to Mars Direct. “I think it touches on pieces of the equation. But you have to weigh the various issues of risk and cost and benefit as you go through the different ideas,” he told Digital Trends. Watzin added that he believes a manned mission will likely turn out to be a multinational endeavor if and when it takes place. And multicorporation, most likely. After all, is NASA’s massive SLS system really needed? Elon Musk has been hyping his as-yet untried SpaceX Falcon 9 Heavy as the answer to getting out of Earth’s orbit, and private companies such as ULA claim they can get the job done as well. Even multibillionaire Bezos’ secretive Blue Origin program, which successfully landed a rocket ahead of SpaceX, has made noises about future heavy lift vehicles and has built a high-performance rocket test facility. Meanwhile, the Russians, whose experience in space closely matches that of the U.S., have their muscular Proton launch vehicles in current rotation. Are SpaceX and ULA building true heavy lift systems that could replace SLS? Is the SLS a white elephant? What advantage does the SLS program have over its competitors? Love said that in order to even get the Mars mission off the ground, the launch system will need to be able to put 120 to 130 tons into low Earth orbit. When fully developed, the SLS system, already along in development, will develop 4 million pounds of thrust, far more than anything flying now or in the past, including the legendary Saturn V that took the astronauts to the moon. “Yeah, you say the word ‘heavy’ and stack up the payload masses, and I’m not impressed,” Love added in regard to the current lift capabilities of ULA and SpaceX. Love was interviewed prior to both Musk’s and Bezo’s announcements. But Love isn’t writing off the efforts of the private firms, either, especially those of SpaceX, with whom NASA is working with more and more. He commented on how great it was for the admittedly older average NASA member to work with SpaceX’s younger, energetic, and enthusiastic team. “They have my support 100 percent,” he said. But he cited NASA’s long history, knowledge base, and vast experience as a counterpoint to the greater speed and flexibility of the young guns. Love echoed what others interviewed for this story also believed: The most favorable scenario for a successful manned Mars mission is a combined effort between NASA and private companies such as SpaceX, ULA, and Boeing, and even other countries. Would he jump at the chance to go on a Mars mission? “No,” he quickly responded. “I’m an outdoors kind of guy. Sitting inside for two years doesn’t sound like much fun.” But a new round of moon landings? Love said he’d be on board for that, no question. Whatever happens between NASA, SpaceX, Blue Origin, ULA, and all the rest, it is an exciting time again for fans of human space exploration. 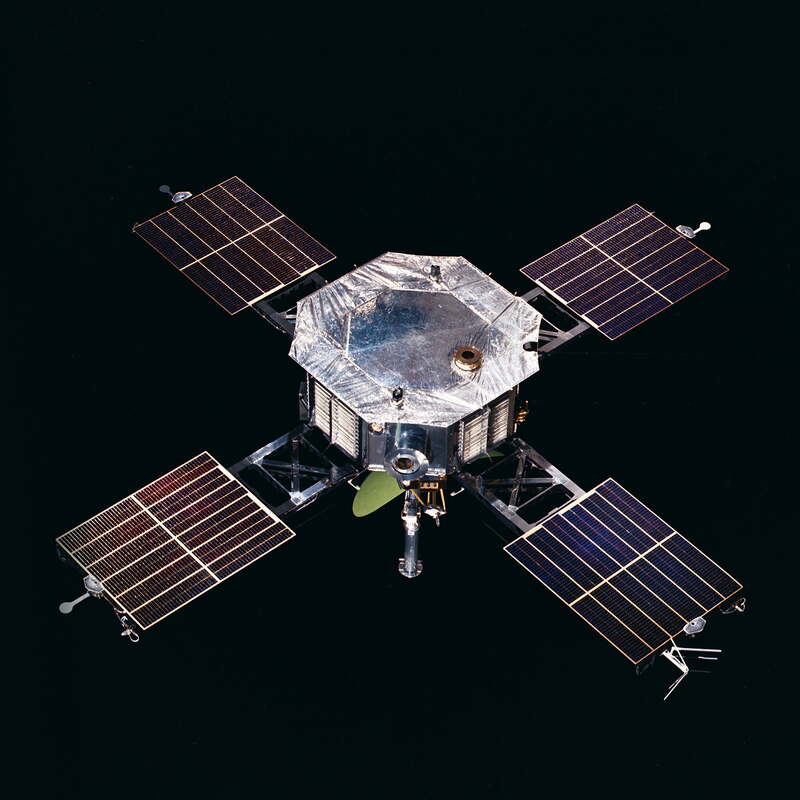 The tide continues to turn toward slow-moving bureaucracies handing off space programs to more nimble commercial entities, who are less bound by red tape and quicker to exploit the rapid pace of technological change. Rather than wondering if a Mars mission will ever happen, it now seems much more likely that it’s finally, truly, actually going to happen — and if people like Elon Musk have their way, likely sooner than later.